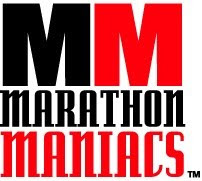 The race was miserable - partly due to the race organizers, and partly due to my own decisions leading into the race. Naturally, the organizers have no responsibility for the weather, and I certainly knew what I was in for with the predicted sweat-bath temperatures of 75-80°F, clear sunny skies and 90%+ humidity (made worse by the prior evening's unusual rain storm). 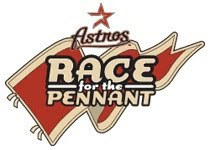 What the race organizers are responsible for, however, is assuring that there's adequate water on the course, and providing a festive atmosphere as the runners finish inside Minute Maid Park. In both regards the race was a failure. Unfortunately the water stations at miles one and two were extremely understaffed, which prevented runners from getting enough water. Though the few volunteers did their very best, which was certainly appreciated by myself and the other runners, it was a shame that they didn't have more help (note to self - the next time that I don't run a local race help out!) Unexpected from prior year's more successful Astro's 5K's was upon concluding the race inside Minute Maid Park (which is very cool since the very end of the race is run down the ramp to the park's playing surface) we were greeted with stone-silence in the cavernous park and were surprised to see the band still setting-up their equipment! Disappointed by being unable to find water before the race began I surprised myself somewhat by managing an acceptable 6:46 first mile over the very unscenic course (which quickly leaves downtown with two lengthy sections over a seemingly unending rail-yard overpass then grungy commercial warehouse district). Partly due to my growing dehydration and fatigue my pace slowed to a sweat-laden 7:12 second and third mile, following which I slowed even further in the ramp to the finish with an overall personal worst 5K of 22:01, 10th place in my division, and nearly two-minutes slower than the far superior Sprint for Life 5K. Hopefully in the future the Astros management will do a better job in recruiting volunteers (potentially providing some decent baseball tickets as an incentive) and ideally offer the race earlier in their season - both when the weather is more suitable and there's some residual beginning-of-the season excitement concerning the club's potential.